This is most probably a sexist comment. However, without context, it's impossible to say that for sure. For example, it could be part of a conversation where chat users are testing a web service, and are comparing the captcha phrases. How can I review the context of the message, before voting? Click the room name in the flag window. It's not obvious, but it will open the chat transcript to that message. Not the answer you're looking for? 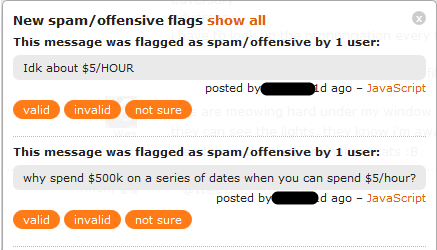 Browse other questions tagged discussion chat spam offensive-flag . How to handle inappropriate chat messages? 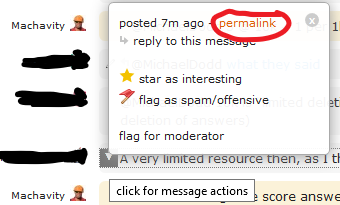 Flag declined; moderator needed more context?